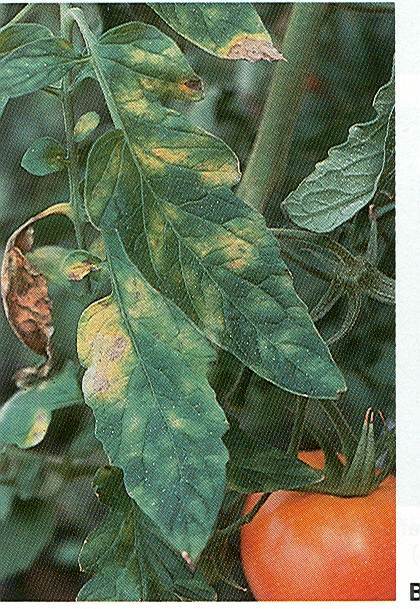 Powdery mildew on tomatoes is restricted to warm, arid and semiarid climatic regions. A fine talcum-like powder growth develops on the leaves resulting in the loss of 30-40% of the leaf canopy. Defoliation predisposes fruit to sunscald and reduced quality. The tomatoes become soft or are burned before they reach maturity. Authors: N. G. Dafermos, et al. Affiliation: School of Agricultural Technology, Technological Educational Institure of Crete, Heraklion-Crete, Greece. Title: Integration of Elicitors and Less-Susceptible Hybrids for the Control of Powdery Mildew in Organic Tomato Crops. Publication: Plant Disease. 2012. 96(10):1506-1512. This entry was posted in Fungicides and tagged fungicides, Mediterranean, Mildew, Organic, tomatoes by pesticide guy. Bookmark the permalink.